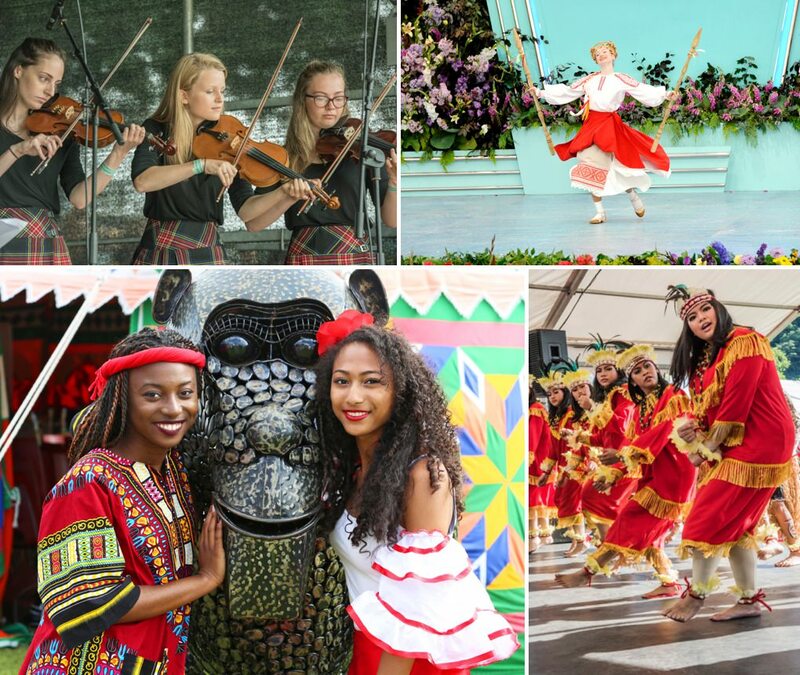 This year both Caroline and I are whisking off our families for a day out together at the Llangollen International Musical Eisteddfod, which runs this year from Tuesday 3rd July to Sunday 8th July 2018. If you’ve not been to Llangollen before, it’s well worth a visit, Eisteddfod or not – a gorgeous little town nestling in the beautiful Denbighshire North Welsh countryside with the River Dee running right through its centre. It’s full of great little independent shops (including my personal fave, a brilliant, enormous second hand bookshop), galleries, cafes, museums and parks, so it’s ace for mooching around. In the nearby area there’s also the medieval Dinas Brân castle, a working steam railway, horse-drawn canal boats, Pontcysyllte aqueduct and music and plays at the Victorian Town Hall. If outdoor activities are your thing, there are heaps – white water rafting, cycling, canoeing, trail riding, fishing, walking and climbing, to name just a few. It’s known as “walker’s paradise” due to the large number of lovely walks, including in the nearby beautiful Berwyn Mountains. 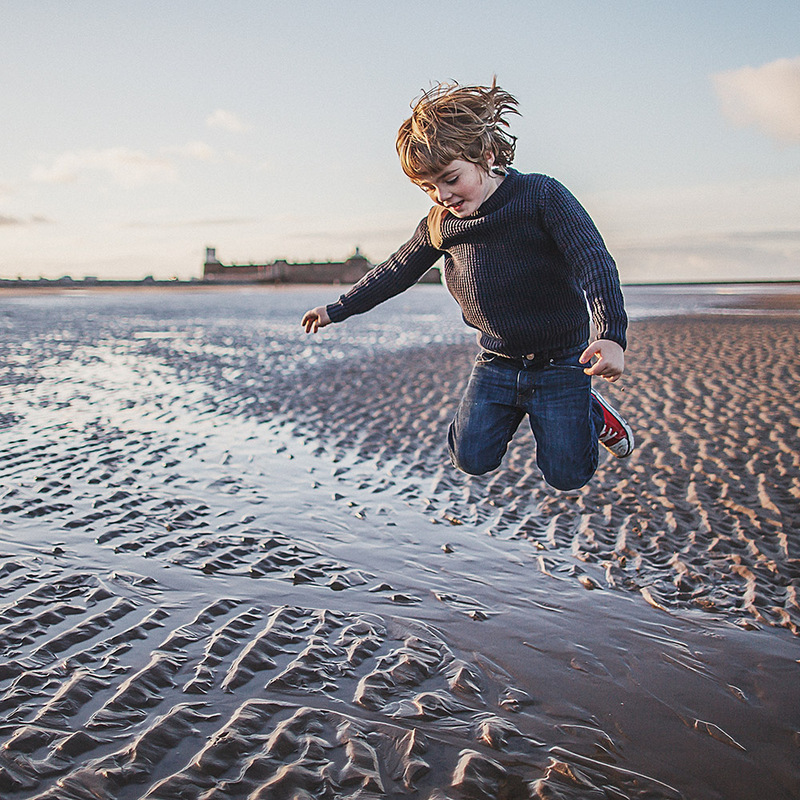 All in all, it’s a brilliant place to spend a bit of time, especially with the little ones in tow. 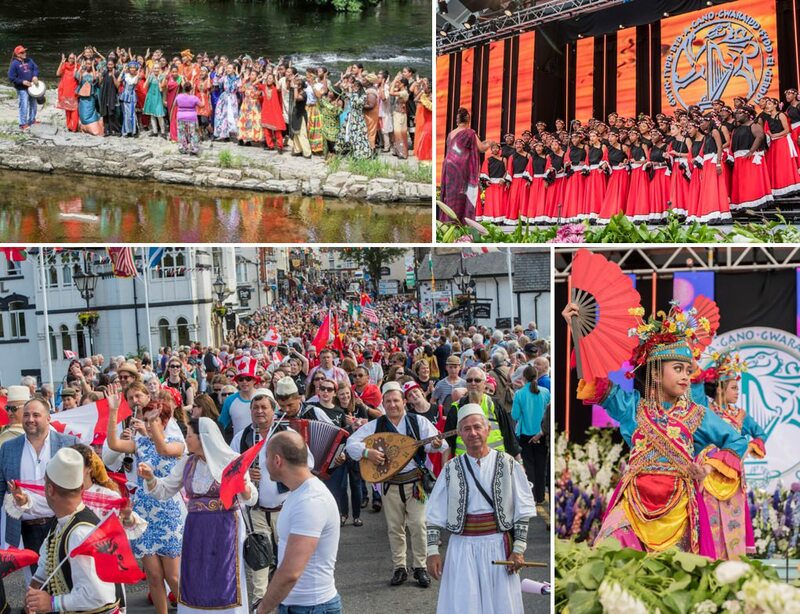 Acknowledged as one of the foremost world festivals, The Llangollen International Musical Eisteddfod is an annual week-long festival of music, dance and culture from across the globe. 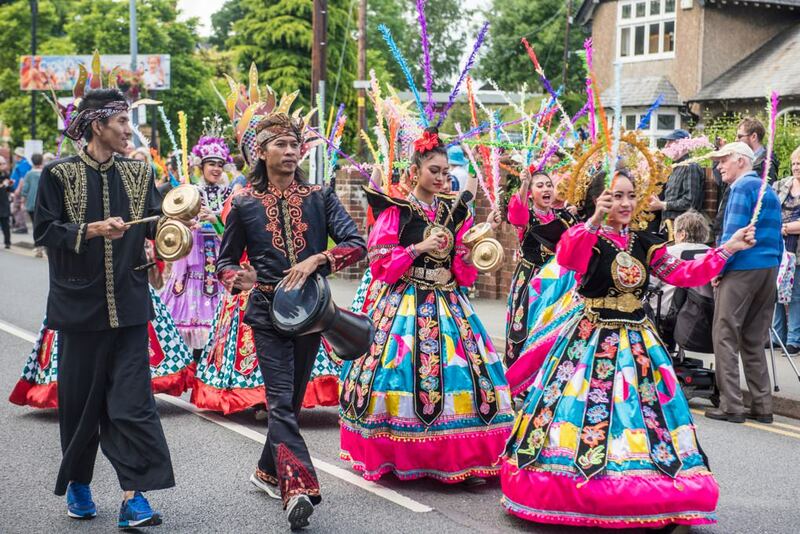 Founded in 1947, it celebrated its 70th anniversary last year and each year attracts approximately 4,000 performers and as many as 50,000 visitors across the week. What’s particularly lovely about this festival, especially from the point of view of sharing something worthwhile and meaningful with your kiddos, and especially in the current political and social climate, is that its key purpose is a festival of music, folklore and dance to celebrate and promote its founding values of diversity, peace, unity, frienship, inclusion and goodwill between nations. Terry Waite CBE is the patron, each year a Rotary International Peace Award is given at the festival and it’s been nominated for a number of awards, including the Nobel Prize for Peace. 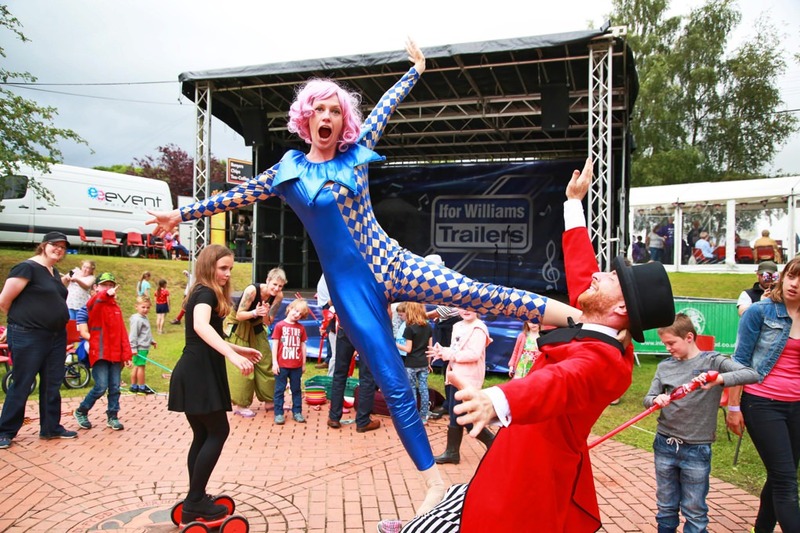 Throughout the week, during the daytime, there are a range of exciting family-friendly activities, including live performances from emerging bands and musicians, outdoor street and dance performers from across the globe, international food and drink stands and craft stalls. The festival culminates on the final day, Sunday 8th July, with Llanfest, which is designed to be a day more like your usual pop ‘music festival’ with live performances from well known artists (this year Kaiser Chiefs are headlining) and support acts on the outside stages and in the pavilion. But every day throughout the week has different activities and performances (including one of my faves Van ‘The Man’ Morrison on the Friday night) and different things to see and do all over the town, so do check out the Eisteddfod website to see what’s on each day and what appeals to you the most. 2) Write either in the comments below this blog post or in the comments of our corresponding Eisteddfod Facebook post that links to this article, saying why you’d like to win! All entrants will be popped in a hat and a winner drawn at random on Sunday 1st July 2018. Good luck and hope to see you down there, we can’t wait! I’d like to win! ???? Me! The boys Dad is Welsh so any chance cause to go and what a fab festival.